It’s no secret that the coal business is facing some serious headwinds, and similarly, this year’s Coal Handling & Storage (CH&S) conference has a very apt mission. Themed “The Road Ahead,” and set to return to St. Louis from October 5-7, the event is putting the big question at center stage: Where to go from here? Insight is key to coal’s future, and it can certainly be found at this important annual conference, which will convene this year at a new location, the Hyatt Regency St. Louis at the Arch. The event kicks off Tuesday morning, October 6, with a keynote discussion with panelists, Betsy Monseu, CEO for the American Coal Council; Jacob Williams, vice president of coal emissions and conversion technologies for Peabody Energy; and Warren Wood, Ameren Missouri’s vice president for legislative and regulatory affairs. Each of the panelists will give a short presentation and then discuss future prospects for the coal business. Before these industry leaders take the stage, delegates have the option of attending three pre-conference workshops planned for Monday, October 5. The first, by Martin Engineering’s Jerad Heitzler and scheduled for 8 a.m. to noon, focuses on the company’s foundations, operations and maintenance. At 1 p.m., an afternoon workshop begins with Coal Preparation 101, offered by Rick Honaker from the University of Kentucky. It will be followed up by “Coal Handling System Fire Hazards & ERT Lesson Learned” by Justin Clift from Hazard Control Technologies. Following the keynote discussion, Ameren’s Mike Schimmelpfennig will moderate a technical session on conveyor systems. Four presentations are planned, including “Gearbox Technolo-gy and Maintenance” by Mike McNulty from Sumitomo Machinery of America; “Conveyor Improvements That Affect the Belt Line and the Bottom Line” by Martin Engineering’s Greg Bierie; “CEMA’s Belt Cleaning Standards: How to Apply Them” by Kevin Maloy from Richwood; and “To the Point Without a Pinch: The Right Way to Guard” by Belt Conveyor Guarding’s Chris Allen. A Safety and Environmental session starts at 3:30 p.m., with five presentatons that will be moderated by Justin Clift from Hazard Control Technologies. They include “Dust, Water and Coal, The Good News and the Bad News” by Daniel Marshall from Martin Engineering; “Coal Dust Suppression Programs with Spontaneous Combustion Inhibition (SCI), Chemistries” by Min Tech’s Christopher Raymond; CDG Engineers’ Jay Ellington with “Your Plant Electrical Infrastructure’s Potential Vulnerabilities”; and “The EPA’s Clean Power Plan – An Engineer’s Perspective” by Ameren’s Mike Shimmelpfennig. Another session, Low Cost Fuel Enhancement, will offer three presentations. The first of the trio will be offered by Virginia Tech’s Jerry Luttrell with “Economics of Coal Upgrading,” followed by “Status of FGX Dry Coal Cleaning Process in the United States” by B.K. Parekh, the senior engineer for FGX SepTech. Wrapping up that group will be “Dual X-ray Transmission Sorting as a Low-Cost Coal Upgrading Option” by Rick Honaker, University of Kentucky. The technical session opens on Wednesday morning (October 7) at 8:30 a.m. with a set of presentations addressing the challenges of aging infrastructure. Moderated by CDG Engineers’ John Fillion. Several experts will take the stage, the first being CDG Engineers’ Mark Rieske and Ameren’s Jeff Willey with “Innovative Design and Construction Methods for Replacing Aging Infrastructure: Ameren’s Rush Island Energy Center Surge Bin Replacement.” Metso Vice President Tom Lippencott will follow with “Aging Infrastructure and Economic Replacement Decisions” and “Deteriorating Coal Infrastructure” by James Newcomer, a project manager for CDG Engineers, will close the group. Beginning at 10:30 a.m., the stockpile management track begins with Martin Engineering’s Greg Mierie serving as moderator. A trio of presentations planned for that session include “Coal Yard Optimization: Excellent Return on Investment” by John Sampish of CCC Group; “EPA Compliance Using Wind Barrier-type Dust Control for Open Storage Piles” by Dust Solutions’ David Gilroy; and “Atomized Mist Dust Suppression in Coal Handling Applications” by Derek Schussele from Dust Control Technology. An afternoon session on coal ash is planned the final day; at press time, the details of that itinerary were still being finalized. For a complete and up-to-date list of the paper presentations, check out the conference agenda on page 35. More information on the presenters, including the keynote experts, is available at www.coalhandlingshow.com. Air-Cure engineers, manufactures and provides turnkey solutions for combustible and fugitive dust control, with more than 40 years of industry experience. Its solutions include systems for reducing housekeeping costs, complying with current NFPA codes, lowering outlet emissions to the environment, achieving low PM2.5 emissions, patented train car unloading, and dust treatment and disposal. Since 1971, ASGCO has used engineered products and services to provide its customers with the best solutions to their conveyor material-handling applications by eliminating carryback, material spillage, and dust in the transfer points and ensuring proper conveyor belt tracking throughout the conveyor system. 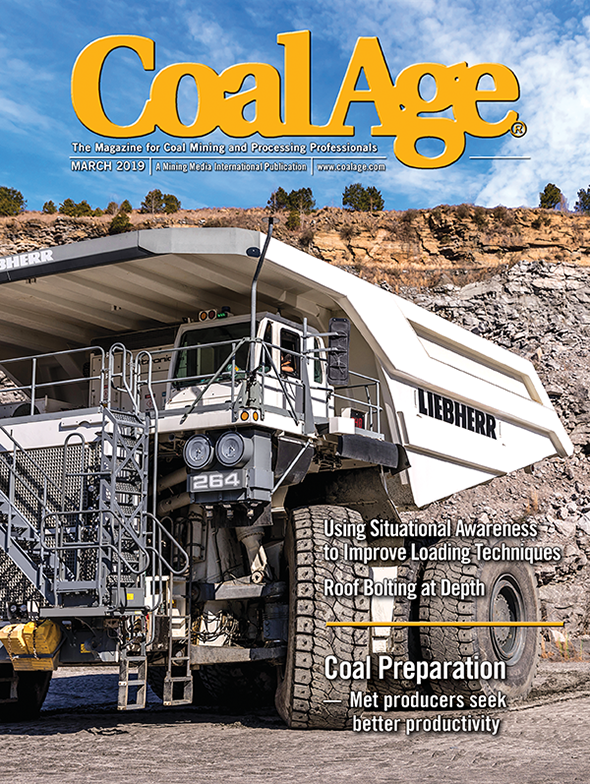 Combined with the company’s national network of distributors, ASGCO can provide coal processing professionals with custom engineering and design to meet specific conveyor needs, along with installation and maintenance programs that will streamline operations by increasing production uptime and lowering costs. Belt Conveyor Guarding is an industry leader in providing sustainable guarding solutions for rotating equipment and conveyor applications. It provides safe, affordable solutions that ensure equipment is compliant with health and safety regulations and protect the worker from exposure to danger zones. The company is able to customize guarding solutions for use in many industries, including coal handling and storage. For more than 30 years, Benetech has provided the right tools for material-handling solutions that reduce dust, prevent spillage, improve material flow and ensure compliance. Its expertise with innovative products, services and technologies helps customers reduce costs, lower risk profiles and increase efficiency. A partner from start to finish, Benetech has the turnkey capabilities to manage all needs from engineering to procurement and construction. The company drives “best practices” and programs targeted to deliver safe and efficient storage, transfer and processing of bulk materials. Some of the tools in the company’s toolbox include dust suppression, spontaneous combustion control, dust collection, engineered transfer systems and accessories, washdown systems, load zone solutions, conveyor components, assessments, consulting, training and more. CDG Engineers is a full-service engineering design firm with broad experience in coal handling and processing. Serving the mining, utility, and industrial markets, the company has designed extensive systems for conveying, overland transportation, unloading operations, rail spurs, crushing, dust control, barge operations and other processes. For existing operations, CDG Engineers has served clients by providing civil engineering, infrastructure improvements, arc flash studies, structural analysis, operational audits and systems reviews. Centrally located in the U.S. with a branch office in the Powder River Basin, CDG Engineers has more than 20 years of experience solving complex problems. Certified Laboratories (CL) is one of the largest independent lubrication manufacturers in North America and the leader in heavy equipment lubrication. They manufacture and supply reliability based lubricants, Environmental Protection Agency-(EPA) registered fuel quality products/services, and products for superior protection against dust and other weather-related obstacles. Its lubrication specialists partner with clients to design and drive proactive maintenance initiatives. CL products increase reliability, reduce production downtime, and help lower operating costs. CCC Group is a nationally ranked industrial general contractor dedicated to self-performing a broad scope of construction and fabrication services for various industries. Having been involved in the mining and material-handling industries for more than 40 years, the company offers installation of engineered products and solutions, and complete construction and engineering, procurement and construction (EPC) services for coal handling and storage facilities. In addition, CCC Group offers engineering and design services specializing in proven dust and fume control technologies. 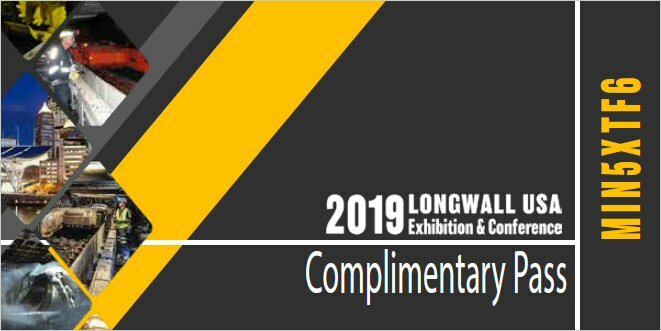 Flexco will exhibit material-transfer solutions featuring Tasman Warajay technology as well as products that work in conjunction with the chutes, such as belt cleaners, to impact dust generation. The booth will be staffed by product experts eager to answer questions and discuss the entire belt conveyor system. They will identify challenges and ways to increase the efficiency and productivity of each company’s operations. Visit them for more information on how to minimize or eliminate the need for ancillary equipment, such as dust collectors, impact beds and skirting. Ford Steel Co. provides high-quality impact and abrasion-resistant steel alloys. Selling under the Wearalloy trade name since 1945, the company’s products include AR 400, 450, 500, 600 BHN, heat-treated steels, Superclad Chromium carbide plate, Mangalloy (11-14% manganese) plate and bar, Superblock white iron castings and Super-Hard Chrome plate. In addition to those products, Ford offers full-service fabrication, experienced outside salesmen and exceptional customer service. They are experts in solving the challenges associated with heavy equipment and plant maintenance wear problems. Since 1887, the coal industry has trusted Heyl & Patterson to provide robust bulk material-handling equipment that lasts a lifetime. The company manufactures specialized, high-volume coal-handling equipment to perform for decades, including rotary railcar dumpers, continuous bucket and grab bucket barge unloaders, railcar positioning systems and barge hauls, plus products that augment its machines, such as weigh scales, hammermills, rail car ejectors and train holding devices. It provides innovative, cost-effective solutions with built-in flexibility for safe, energy-efficient unloading. It also offers a complete line of replacement parts and upgrades, regardless of the original manufacturer. Inland Rivers, Ports and Terminals (IRPT) is a nationwide trade association for port and terminal professionals, as well as a resource for river-borne services to promote the value of the waterways system. IRPT provides a national perspective on industry issues affecting legislation, policy and operations, and they promote, market and work to unify systems for common objectives. They currently have approximately 250 members consisting of port professionals, terminal operators, shippers, carriers, firms, suppliers and other associations. They divide their members based on the river system they work on or near, as well as offer a multistate and international basin classification. Kinder Morgan Engineering & Conveying provides bulk material-handling equipment and systems, such as in-plant conveyors, overland conveyors, floating conveyors, ship loaders, barge unloaders, radial stackers, portable conveyors and other related bulk materials-handling equipment. The company designs and manufactures equipment for various industries such as mining, petroleum coke, coal, iron and steel, pulp and paper, bauxite, ores and many other bulk materials. Laffey is a manufacturer’s representative and distributor established in 1977. It represents established manufacturers of quality products. The company’s manufacturers include Thermo Fisher, Metso, NAVCO, Dust Solutions Inc., Thomas Conveyor, Rapat Corp. and Kinergy & Andco Actuator. Laffey’s products include in-motion weighing, sampling, level controls, belt conveying, mechanical conveying, rail car and barge handling, vibratory equipment and flow aids, electric actuators, metal detection, conveyor protection and safety switches. Martin Engineering has delivered tough, tested and innovative coal-handling solutions, backed by genuine and dependable industry experience, since 1944. The new CleanScrape Belt Cleaner lasts longer than any other cleaner, requiring few blade changes and saving on downtime, lost production and shutdowns. Installed in the primary position, the cleaner is equipped with tungsten carbide tips that are safe on mechanical splices. Installed at an angle across the discharge pulley, CleanScrape requires very little space for installation. Midwest has been providing coal-handling solutions for the utility industry for 40 years. Its solutions for the utility industry eliminate problems while reducing overall costs as well. A producer of production-boosting polymer lining systems. In a word, they can keep coal moving year-round in adverse conditions and less-than-ideal hopper or chute geometry. Significant production increases are realized, and also significant labor and safety savings. Power Techniques Inc., located in Alma, Illinois, and incorporated in 1990, provides a comprehensive range of engineering and construction services in material handling. Professional services encompass the engineering, material procurement and construction and maintenance disciplines. Power Techniques Inc., along with M&J Engineering (Pty) Ltd., introduced the WEBA Full Flow Control Transfer System and the Advanced Flow Chute design to the United States market in 2002. PSI has been a leading manufacturer of mechanical sampling systems for more than 35 years. During that time, PSI has provided more than 350 systems, which are in operation in the U.S., Canada, China, Taiwan and South America. PSI specializes in the turnkey design, engineering, fabrication and installation of three categories of sampling systems: auger sampling systems for sampling stationary material in trucks, rail cars, and stockpiles; conveyor belt sampling systems including the rotary sweep belt sampling systems and conventional cross-stream sampling systems; and mechanical sub-samplers for laboratory applications and a third or final-stage cutter of a mechanical sampling system. Richwood designs innovative solutions for the worldwide bulk material handling industry. For more than 30 years, the busiest mines in the world have put their confidence in its problem-solving expertise. Clean conveyors and sealed and protected load zones for site-specific solutions mean lowered maintenance costs, safer work areas and more productive operations. As a manufacturer of rail car dumpers and rail car positioners, Richmond Engineering Works provides its clients with powerful, user-friendly industrial systems and controls that dramatically improve productivity. The company offers a full range of electrical, mechanical and structural engineering services, field technical assistance and machinery inspections. They are designers, engineers, consultants and system integrators creating innovative solutions for the control needs of clients worldwide. TerraSource Global is a resource for bulk material handling equipment and crushing machinery and is comprised of three brands, including Gundlach Crushers, Jeffrey Rader and Pennsylvania Crusher. The product lines include Posimetric and vibratory feeders, material-handling equipment, screening and processing equipment, storage and reclaim equipment, size reduction equipment and more. Their equipment can handle all types and grades of coals. Pennsylvania Crusher brand Posimetric feeders provide reliable and consistent feeding while eliminating fugitive dust, increasing plant safety. Jeffrey Rader brand NF Electromechanical Vibratory Feeders are recommended for heavier loads and for hazardous environments. Varo Engineers Inc. is a full-service engineering consulting and design firm with 65-plus years of experience. They emphasize customer service, while tailoring solutions to a client’s needs in the industrial, manufacturing, institutional and power generation markets. Specialties include process applications, material-handling systems, furnace design, energy audits and electrical power and controls. We also provide project management and client site services for multidiscipline projects. They serve clients through a flexible, multidiscipline approach that results in a project specific solution. Wear Concepts is a specialty supplier, designer and installer of wear-and abrasion-resistant products and material flow solutions. The company has been in business since 1996, serving the coal handling and processing industry. It offers solutions to some of the toughest wear problems in conveying systems, mills, crushing operations and pipelines. Wear-Con offers turnkey installations with MSHA Part 48-certified field service crews. The company provides standard wear products, including wear plates, pipe and elbows, ceramics, wear compounds and provides several unique solutions for wear performance. Its knowledgeable research and development, engineering and technical support departments constantly work to reduce downtime and help coal and plant operators get the most from their equipment, working directly with them to tackle even the most difficult wear problems. Wolf Point Engineers & Contractors (WPE&C) provides turnkey bulk material handling solutions for the power and mining industry. Typical systems involve coal, pet coke, limestone, gypsum, wood pellets and wood chips. All projects involve engineering, procurement and construction services. WPE&C is a division of North Alabama Fabricating Co. Inc.